Find your own "little piece of Italy" at Caffe’ e Cucina on Chapel street. Opened in 1988, you’ll be afforded the undeniable quality that only 28 years of experience in the hospitality industry can bring, with outstanding service and delicious food. Open for lunch and dinner Monday to Sunday, book a table to be whisked away to Italy in the middle of the week and experience Italian hospitality at its best. Pick from their Antipasti, pasta, secondi and dolci menus, and pair your choice perfectly with the recommended wine. You can expect freshly baked bread on arrival and the highest quality extra virgin olive oil to tie together your meal. If you would like to take your dining experience home with you, consider taking up a class in Italian cooking and wine pairings, offered periodically for booking in the restaurant. 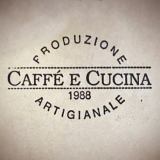 Caffe’ e Cucina offers a range of different dining experiences- find the perfect one for you. Pick a seat on the Al Fresco to enjoy the rush of Chapel St while you dine, eat downstairs in the cosy and radiant dining space or dine with a large group upstairs. Why not book the private Romeo and Giulietta balcony? Known to be the spot for countless proposals and anniversaries, you will be swept off your feet by exclusivity and romance second to none. Wherever you choose, the soft, glowing lighting and classic decor makes for a comfortable and charming rustic dining experience that will win you over. Experience the passion and attention to detail that is found in Caffe’ e Cucina, in Melbourne's little Italy- a recreation of some of the best restaurants in Italy. If you prefer to have a feel of the emblematic Chapel Street, then the outdoor area (al fresco) is perfect for you. Alternatively, our upper floor is ideal to host larger groups.